I haven't had a large issue but it has happened a few times. Even on newer machines like the 6002. They always seem to break into two equal pieces like that. i have been told that the gear breaks due to flat spots on the press roller, it causes uneven pressure on that gear. i have found very few press rollers with flat spots when i did have to replace the gear. so i'm no sure how true that its. but its something to look at. 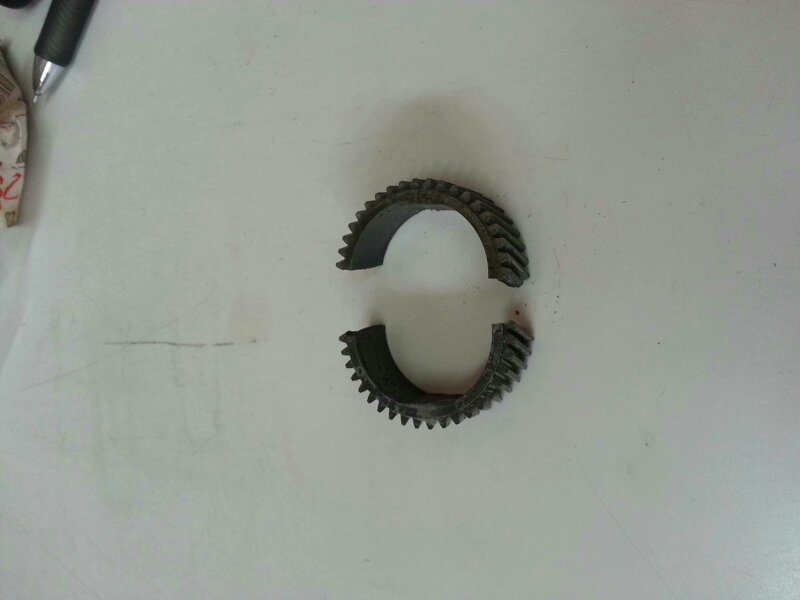 Usually caused from flat spot in pressure roller, replace press roller with bearings, upper bearings too. Adjust web motor settings per bulletin 15, enable auto shut off if disabled so machine doesn't stay on over weekends. What kind of settings in bulletin 15? This happens in almost all variants of this model. Personally, I think the materials of the gear may have something more to do with it. Also check for over toned condition from worn developer, and make sure heat roller doesn't have a lot of toner build up or replace it. Clean charge as well. The excess toner/backround on copies, will cause the web to stick to heat roller when machine is resting because web will get dirty with toner. I use to have one in my Van kit. Since they changed Vendor(?) material(?) it happens. Something to keep in mind by changing those web settings is that the machine will consume the fusing web at a higher rate. I have ten in my van! Thank you guys for your suggestions!